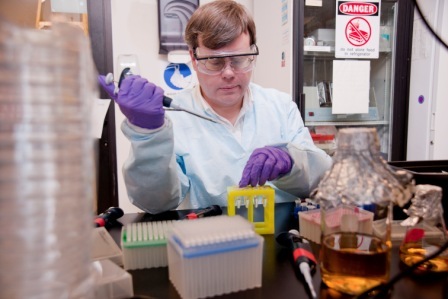 Meet the man who just might have a cure for most viruses on Earth, Todd Rider. A biomedical engineer at MIT with the name of Todd Rider has what could be a potential cure for all known viruses on the planet. However, he is not going to be curing Zika or anything else very soon as the one thing he does not have is money. DRACO WAS DISCOVERED 15 YEARS AGO There was a lot of arms waving about and many crowdfunding campaigns following his announced discovery 15 years ago and today he still has not been given the funds to follow up on his preliminary tests that were successful. At the moment Rider is living in the spot that is often referred to by scientists as Valley of Death. This is the place between work that basic research organizations might fund and the landslides of pharmaceutical companies. Rider does have an Indiegogo campaign on the go that is looking very sleek right now and this was put up by savvy internet activists and it is running at the moment. However, it’s not going too well despite the fact that the benefits of those funding him could be life-changing, albeit uncertain. Support for the campaign has been enthusiastic, but at the same time rather inadequate. However, Rider has got used to this by now. Rider has talked a bit about his findings and when he first found DRACOs. He said that there are very few antiviral therapeutics out there and those that tend to be for specific and for individual viruses and in some cases just particular strains of individual viruses. He said that he had been motivated to developing new antiviral therapeutics that could be effective against many viruses across a broad spectrum. RIDER BORROWED FROM MOTHER NATURE FOR DRACO Rider went on to say that instead of trying to come up with something from scratch he chose to borrow from what Mother Nature had invented already. The cells have natural ways of being able to detect viral double-stranded RNA and they also have natural ways of being able to kill off certain cells. He said that he had come up with DRACO to be able to combine the two natural cells which would kill off any cells that were infected with a virus. Rider thinks that DRACO has the same potential as the development of antibiotics to revolutionize treatment along with preventing bacterial infections in the middle of the 20th century. He said that DRACO could potentially do the same for prevention and treatment of viral infections during the 21st century. The Valley of Death is a problem that is significant in regards to medical research, and it might be easy to think that a potential cure for all viruses known to man would get him out of that valley by generating enough interest and funds, so why hasn’t it? Some modest funding from the National Institutes of Health allowed for previous proof of concept experiments that were done in cells and mice. However, that funding has passed. The big pharmaceutical companies have the expertise and resources to carry new drugs, including DRACO, and take them past the manufacturing scale-up, the big animals trials and then onto FDA human trials to get approval. Before they commit money from their own pockets the companies wish to see that DRACO has been effective against clinically relevant viruses, such as the herpesvirus family and not just the proof of concept viruses that had been funded by NIH previously. VALLEY OF DEATH IS EXPERIMENTAL AND FINANCIAL GAP The Valley of Death is the experimental and financial gap that lies between the NIH proof of concept experiments and being able to convince some of the big pharmaceutical companies to take DRACOs to human trials. Rider explained that in theory DRACO had been designed to be effective against many viruses over a broad spectrum and in many people. He said that starting from the proof of concept work it could take some experimentation to find the best design for DRACO and this is something that has been a challenge to find funds to take DRACO out of the early stage work. Rider was asked what he imagined a treatment based on DRACO would look like if it should be developed. He said that the first version of it could be administered successfully in mice via an injection or through inhalation. He went on to say that the ultimate goal would be to develop DRACO as a pill that could be taken. When asked why he had chosen crowdfunding to help him support it he said that activists online had heard about DRACO research and had offered to help support the work. He went on to say that he was grateful to everyone who had helped with donations and he hoped that they would be able to raise the money needed so that they could fund testing and development of DRACOs against relevant viruses in cells. He went on to say that in the event of not being able to raise the full amount the money would still be used to buy equipment and supplies while he continued on with more research funding. Rider said that if they could demonstrate success and optimize DRACOs against relevant viruses in cells then he believed that the results might be enough to persuade pharmaceutical companies to take DRACOs through the large-scale animal trials and then onto human trials. He said that the timeline would be dependent on the funding levels and if there are any scientific difficulties that were unforeseen in the experiments. If everything went well then DRACO might enter into human trials in a decade or perhaps less. MEET TODD RIDER, THE MIT ENGINEER WHO PROBABLY CURED EVERY VIRUS ON EARTH. This entry was posted in Health & Fitness, Science.